In 1913...columnist & TV panellist Dorothy Kilgallen was born in Chicago. For 27 years she wrote a gossip column for Hearst’s New York Herald American, halfway through which time she achieved national fame as a panellist on Goodson Todman’s Sunday night TV institutuion, What’s My Line? Beginning in 1945, she co-hosted a long-running breakfast radio talk show on WOR, with her husband Richard Kollmar. She died after an alcohol-and-seconal-fuelled heart attack Nov. 8 1965, just 12 hours after her weekly TV game show, dead at age 52. In 1939…Chic Young's comic strip character "Blondie" became a radio sitcom, initially as a summer replacement for "The Eddie Cantor Show" on CBS. When Cantor did not return in the fall, "Blondie" continued on the air and bounced between several networks until 1950. In 1940…In 1940, the legendary comedy team of Bud Abbott and Lou Costello debuted their own network radio show on NBC. After two years of wowing the audience of the Kate Snith Show the duo replaced Fred Allen for the summer months. In the fall of ’42 they began a seven year run with their own Thursday night show. In 1952 Abbott and Costello produced 52 episodes of one of the most successful and repeated programs in TV history. A cartoon version of The Abbott & Costello Show followed in 1966. In 1955...Tom Clay, a Buffalo DJ on WWOL-AM, staged a famous billboard publicity stunt in Shelton Squareconducts his famous Billboard stunt in Buffalo's Shelton Square. 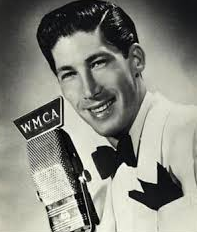 Clay in the 1950s was a popular radio personality in the Detroit area on WJBK-AM both as a DJ, and for his on-air comic characterizations. In the early 1950s Clay, using the pseudonym "Guy King," worked for WWOL-AM/FM in Buffalo, New York; on July 3, 1955, he conducted the stunt in which he played "Rock Around the Clock" by Bill Haley & His Comets repeatedly from atop a billboard in Buffalo's Shelton Square, an incident that led to his firing and arrest. In the mid-1950s he moved to Cincinnati, Ohio and was equally popular. He was caught up in the payola scandal of the late 1950s, and admitted to having accepted thousands of dollars for playing certain records. 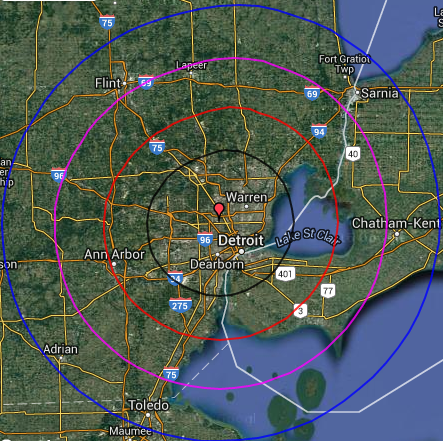 After being fired from WJBK, Clay worked at the short-lived Detroit Top 40 station WQTE (now WRDT 560 AM) only to be fired again when the station changed format to easy listening music in 1961. 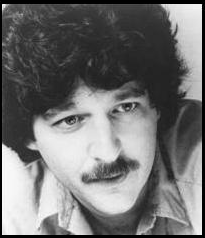 After moving to Los Angeles and becoming a popular personality on KDAY and KRLA, Clay returned to the Detroit area and found work at CKLW in neighboring Windsor, Ontario, at the time one of the foremost Top 40 AM stations in North America. Clay is best remembered for his single on Motown's MoWest label "What the World Needs Now Is Love"/"Abraham, Martin and John", a compilation of clips from the two popular records, interviews, and speeches of Jack and Bobby Kennedy and Martin Luther King emphasizing tolerance and civil rights. It went to #8 on the Billboard Hot 100. It sold over one million copies, and was awarded a gold disc. Clay died of stomach and lung cancer at the age of 66, in Valley Village, Los Angeles, California in 1995. In 1961...Dan Ingram did his first show on WABC 770 AM, New York. He filled in for Chuck Dunaway. In 1971...Rock Hall of Fame rock singer Jim Morrison of The Doors died of heart failure. He was 27. In 1972...Bob Crane went back to radio - but only for one week. 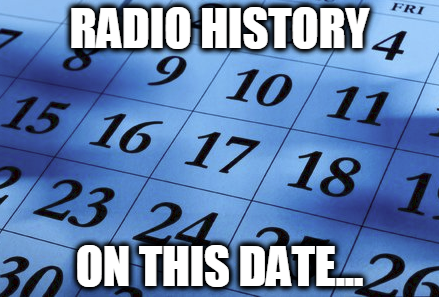 In 1973...KMEN 1290 AM San Bernardino, CA broadcasts an “all-girl” day on Wednesday of this week. Guest DJ’s heard – Jackie DeShannon, Donna Fargo, Sylvia, April Stevens, Jean Knight, Carla Thomas and Maureen McCormick of the Brady Bunch. In 1976...The Los Angeles comedy radio team of Hudson and Landry split. In 1978...Supreme Court ruled 5-4, FCC had a right to reprimand NY radio station WBAI for broadcasting George Carlin's "Filthy Words". In 1983...KNX-FM – Soft rock in Los Angeles changes calls and format to KKHR (Hit Radio). Looks like it’ll be direct competition for KIIS-FM. In 1986...depression era singer and bandleader Rudy Vallee died following a heart attack at age 84. He had a succession of popular radio variety shows beginning in the late 20’s, introducing a succession of future stars. His biggest hit was the “Stein Song (University of Maine)” in 1930. In 1986...It was announced that Howard Stern, the often controversial New York City DJ/talker, will be syndicated by DIR to other stations. Stern, who joined rocker WXRK (New York) late last year, has seen his ratings rise from a 1.2 to a 3.4 and up to a 5.2 share in the recent ratings. 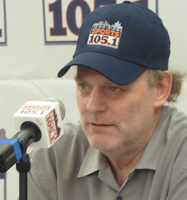 “The Howard Stern Show” will mix music and talk equally. At WXRK, Stern plays about 6 songs per hour. The national show will be weekly only. Stern is following a pattern with high-profile DJ’s and national weekly shows: Rick Dees at KIIS-FM, John Lander at KKBQ Houston and Scott Shannon from Z-100 all have national weekly shows, but Stern’s will present or lean heavy personality and will not emphasize the music. In 1987...Tom Snyder will move from TV to radio this fall to host a national call-in talk show announced this week by the ABC Radio Networks. Look for it early September. In 1993…Sports broadcaster (ABC, Superstars, Wild World of Sports, NBC, Los Angeles Dodgers, Chicago White Sox, California Angels, Texas Rangers, Montreal Expos, Los Angeles Rams)/syndicated radio show host (Radio Baseball Cards)/Baseball Hall of Famer Don Drysdale died following a heart attack at age 56. Despite the legal questions raised by this week's private meeting between Attorney General Loretta Lynch and Bill Clinton, many in the press have said they accept that the impromptu 30-minute exchange was totally innocent, and won't bias the probe into Hillary Clinton's email scandal, reports The Washington Examiner. 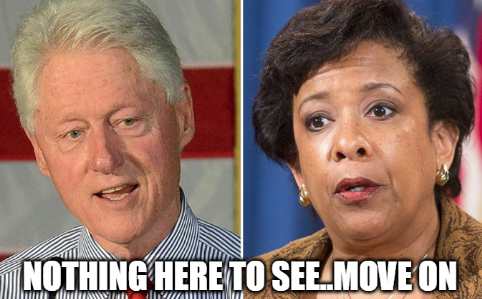 "I take [Lynch] & [Clinton] at their word that their convo in Phoenix didn't touch on probe. But foolish to create such optics," CNN contributor David Axelrod said on social media. Bloomberg News' John Heilemann mused in a panel discussion this week on CBS News, "[N]one of us will never know if all [Clinton] did was just go and say hello. So, I take them for their word it was all perfectly innocent." Lynch met privately with Clinton in Arizona Monday evening for an off-the-record exchange. Their conversation, which took place aboard Clinton's jet, was first noticed and reported by a local ABC News affiliate, KNXV-TV. The Attorney General confirmed the exchange Wednesday, but maintained it was purely social. Democratic and Republican lawmakers have criticized the meeting as inappropriate, explaining it's not a good look for Democratic front-runner Hillary Clinton, who is under FBI investigation for her use of an unauthorized and unsecured private email server when she worked at the State Department. Lynch said Friday that she would go along with whatever recommendation the FBI comes up with in its investigation of Clinton's private emails. Despite the bipartisan criticism from top lawmakers, however, reporters and media pundits have shrugged at the controversy, with many suggesting that the conversation was indeed nothing more than harmless banter about family. MSNBC's Chris Matthews, for example, dismissed the controversy, and suggested Friday that the conversation took place mostly because Clinton is just that friendly. The New York Times, which failed to mention the story in the first 24 hours after it broke, echoed Matthews' suggestion that the meetup was the result of the former president's overly-friendly personality. ABC and NBC News were also slow to cover the controversy, and made no mention of the issue Wednesday evening (when the story broke) or Thursday morning. CBS News touched on the story Thursday morning, but its coverage also involved host Charlie Rose characterizing the meet-up as "innocent." His co-host Gayle King asked, "They are at the airport at the same time … Why can't he just go over and say hello?" On Friday, Bloomberg News' Mark Halperin said the easiest explanation for why Lynch met privately with Clinton is that the former president is a "really social guy." First of all, it isn’t the FBI’s job to tell journalists or private citizens they can’t take photographs of a former president and the Attorney General. What were the agents going to do, arrest people for taking a picture or video? If there was nothing wrong with the meeting and it was totally innocent, why were federal agents instructed to demand no one take a picture? After more than 20 years as a pop-adult contemporary station, Modesto’s KOSO 92.9 FM B93 FM has abruptly changed to a country format. 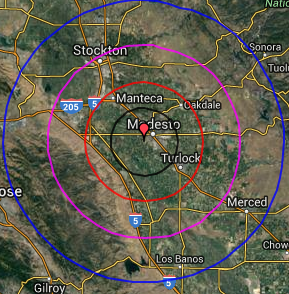 According to The Modesto Bee, the shift came at noon July 1, with those tuning in to its 92.9 FM signal finding “The Big Dog” on the dial instead. Parent company iHeartMedia moved it to a “new country” format, which includes largely current Top 40 country hits without much classic country. KOSO-B93 FM had been one of the area’s leading adult contemporary stations over the years. In the late 1990s and early 2000s the broadcaster was behind large, high-profile events like Summerfest and Acoustic Christmas which attracted thousands. The format flip now puts The Big Dog directly in competition with KAT Country 103 FM, the region’s popular country station. Owned by iHeartMedia rival company Cumulus Media, KAT has long been the area’s highest-rated station, according to Nielsen Audio. Negrete would not say if naming the station “The Big Dog” was a reference to its new competitor KAT. “The 92.9 The Big Dog name conveys the strength and power of the iHeartCountry brand. It’s the perfect name for the home of our nationally acclaimed morning personality Bobby Bones. 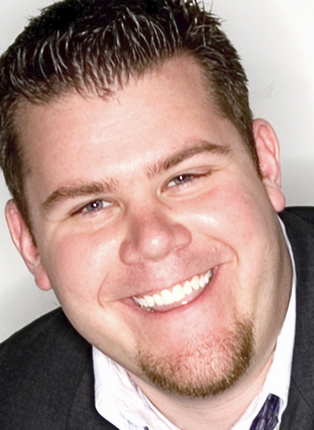 We look forward to being Modesto’s exclusive hot new country station,” he said. (Reuters) -- Apple Inc fought back on Friday against Spotify's claims that the U.S. tech giant had hampered competition in music streaming by rejecting an update to the Swedish service's iPhone app. Apple's entry into the field sparked concerns from music streaming companies such as Spotify, which have argued that the 30 percent cut Apple takes of subscriptions in its App Store give its own service an unfair advantage. Spotify General Counsel Horacio Gutierrez reiterated those concerns in a letter to Apple first reported on Thursday as he protested the rejection of the latest version of the Spotify app. But Apple General Counsel Bruce Sewell countered that the company deserves a cut of transactions in the App Store for its work operating the marketplace, according to a copy of a letter to Gutierrez seen by Reuters. Sewell insisted that Apple was treating Spotify as it would any other app maker, in keeping with antitrust law. "We understand that you want special treatment and protections from competition, but we simply will not do that because we firmly adhere to the principle of treating all developers fairly and equitably," Sewell wrote. Gutierrez claimed Apple's rejection of Spotify's app raised "serious concerns" under competition law in the United States and Europe and the move was causing "grave harm to Spotify and its customers," according to technology publication Recode. A Spotify spokeswoman confirmed the accuracy of the report. A spokesman for Apple declined to comment. Launched a decade ago, Spotify is the world's biggest paid music streaming service with about 30 million paying users in 59 markets while Apple Music has some 13 million. Companies such as Spotify have sought to sidestep Apple's App Store cut by encouraging consumers to sign up for their services online. Apple forbids developers from promoting alternative payment methods within their apps. In late May, Spotify submitted a version of its app that removed the in-app purchase feature, which triggers Apple's cut, and included an account sign-up feature that violated Apple's rules, Sewell wrote. 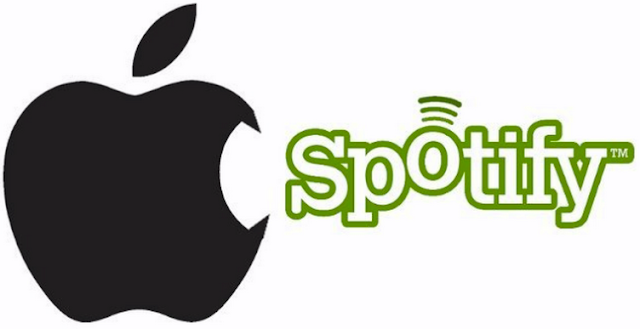 Apple rejected the app and asked Spotify to submit again, but the new version had the same problems, Sewell said. 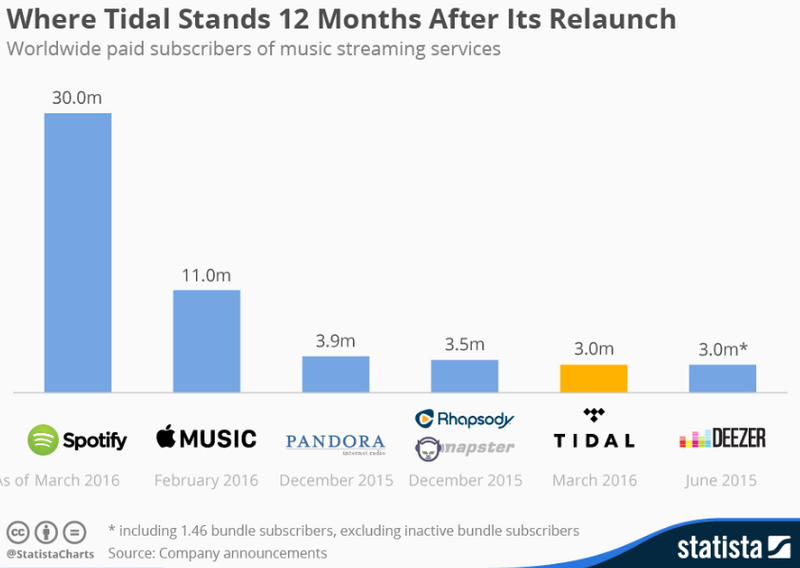 Music streaming is a crowded field. Alphabet's Google Music and YouTube also compete with Spotify and Apple Music to attract users prepared to pay for music, as does Pandora Media Inc and rapper Jay Z's Tidal. Amazon.com Inc is also preparing a standalone streaming service, sources have told Reuters. Donald Trump's standing in the polls has taken a hit in recent weeks, and if his comments Thursday to radio host Mike Gallagher are any indication, he does not have a firm answer as to why. The presumptive Republican nominee has faced down news coverage of everything from his criticism of a federal judge for being "Mexican" and thus unfit to oversee Trump University litigation because of his stated goal to construct a wall on the U.S.-Mexico border as president to the high-profile firing of campaign manager Corey Lewandowski. 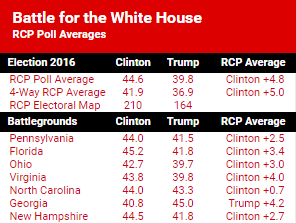 Trump has trailed Hillary Clinton in most every national poll since he effectively clinched the Republican nomination, though Gallagher noted two recent polls that show Trump gaining ground or even leading, despite most other polls showing Clinton with more significant leads. A Fox News poll released Wednesday evening showed Clinton with a 6-point advantage nationwide, widening her advantage from earlier in June. "The tide is going to turn and people are going to wake up," Gallagher nonetheless predicted. “Well, you know, I really feel it, Mike. I go to Ohio, we were there two days ago, and Pennsylvania and near Pittsburgh and we — I was in West Virginia, the crowds are massive. And you know, I walked out of one, and I said, ‘I don’t see how I’m not leading,'" Trump said, invoking the size of his crowds. CBS Sunday Morning, the nation's #1 Sunday morning news program, delivered its largest 2nd quarter audience in at least 28 years, according to Nielsen most current ratings for 2nd quarter 2016. The period marked the fourth consecutive 2nd quarter of year-over-year growth and the first time the broadcast finished the ratings period with 6 million viewers. During 2nd quarter 2016, CBS Sunday Morning delivered 6 million viewers and a 1.3/07 in adults 25-54, the demographic that matters most to those who advertise in news. Year-to-date Sunday Morning is seen by 6.01 million viewers every Sunday. That’s greater than the weekday editions of Good Morning America, Today and CBS This Morning. CBS Sunday Morning was up +4% in viewers (from 5.79m) and even in adults 25-54 compared to 2nd Quarter 2015. CBS Sunday Morning has posted viewer gains in each 2nd quarter since 2013 and has +1.06m viewers since 2nd quarter 2012 (from 4.94m, +21%). CBS Sunday Morning closed out the quarter on June 26 as the #1 Sunday morning news program by delivering 5.51m viewers (+2% from 5.40m) and a 1.2/08 in adults 25-54 (+9% from 1.1/07), compared to the same day last year. Television year-to-date, CBS SUNDAY MORNING is the #1 Sunday morning news program, with 6.01 million viewers and a 1.3/07 with adults 25-54. Longtime media executive Terry O’Reilly has been named president and CEO of Pittsburgh Community Broadcasting Corporation, owner of the FM radio stations WYEP 91.3 FM and WESA 90.5 FM. 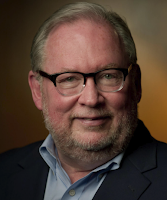 A veteran of commercial, entrepreneurial and public media, he will join PCBC on August 1, 2016, according to WESA. O’Reilly’s appointment follows the recent consolidation of WESA and WYEP governance into a single public media entity positioned for continued growth in broadcast audience, digital distribution, and community engagement. WYEP and WESA are Pittsburgh’s only independent public radio stations covering the adult album alternative (AAA) music format and NPR news and information. “We are excited that Terry will lead the team we’ve built at Pittsburgh Community Broadcasting Corporation,” said Harris Jones, PCBC board president. A multiple award-winning producer, journalist and executive, O’Reilly has more than four decades of media experience. He comes to PCBC from Minneapolis, where he served most recently as senior vice president and chief content officer for Twin Cities PBS, one of America’s most innovative and influential public media institutions. Prior to joining Twin Cities PBS in 2009, O’Reilly spent three decades in the commercial television industry, with experience in senior positions at two national cable TV networks (ReelzChannel and The Weather Channel), along with involvement in a pair of entrepreneurial media startups. 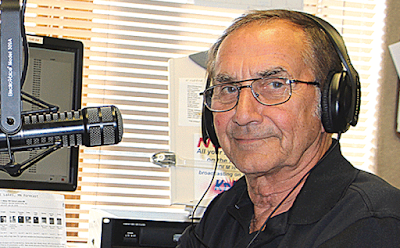 For as long as most people living in the lakes area can remember, Andy Lia has been the “Voice of the Lakers,” calling just about every Detroit Lakes High School football, basketball, volleyball, hockey and golf game for KDLM 1340 AM and K226KA 93.1 FM in Detroit Lakes, MN since 1980. He’s also been a fixture of the local station’s morning programming, with his radio show running from 5:30 a.m. to 10 a.m. every Monday through Friday. But this past Thursday, Lia signed off from his show for the last time, reports dl-oneline.com. Lia also says that after 36 years of getting up at 4:15 a.m. every weekday and going into the station for his radio show, plus traveling all over the region to call games for dozens of area sports teams at all hours of the day and evening, it’s not nearly as much fun as it used to be. So what’s next? When asked that question, Lia grins and pantomimes taking a swing at an imaginary golf ball. “I want to golf, fish, hopefully do a little traveling,” he said, adding that he and his wife Sandy “got the bug” to travel after a trip to Europe last year, and he hopes to get some time to visit with his sisters in Tampa, Fla., and Phoenix, Ariz., as well as his other two sisters in Minnesota, along with son Craig and daughter Andrea, who live in Rochester and Mora, Minn., respectively. He also has four grandchildren that he hopes to spend more time with. After graduating from Detroit Lakes High School in 1959, he went on to get his one-year degree in radio broadcasting from Brown Institute in the Twin Cities. But it wasn’t necessarily his first choice. “I was going to be a teacher at one time, but when college fell through, I went to radio school,” Lia said in a 2009 interview, prior to his induction into the Minnesota Museum of Broadcasting Hall of Fame. Lia got his first job as a radio announcer at KTRF in Thief River Falls, in the fall of 1960. He stayed at KTRF for two years, and while there, was given the opportunity to call a few games. His next job was at KPRM in Park Rapids, as a sports announcer and program director. After just a year at Park Rapids, he moved on to KLIZ in Brainerd, where he was given his first job as sports director. He returned to KTRF in Thief River Falls, where he stayed for “about six or seven years” before taking a job as the sports director, FM operations manager and AM morning announcer at KDLM in Detroit Lakes in 1975. In 1916...Radio personality Barry Gray was born, generally considered the father of the "Call-In" Radio format. In 1939…In 1939, The Aldrich Family debuted as the summer replacement for Jack Benny Sunday nights at 7 on NBC radio. In 1941...the lighthearted comedy-mystery The Adventures of the Thin Man, based on the Nick & Nora Charles movie series of the same name, debuted on NBC radio. Claudia Morgan delightfully played Nora throughout the ten year run, while Les Damon was the first of four radio actors to play Nick. 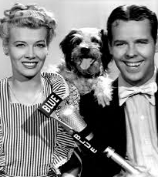 In 1945...The Marlin Hurt & Beulah Show made its debut on CBS radio. Marlin Hurt had first introduced his Beulah character (a black maid) while a cast member of the Fibber McGee & Molly Show. In 1946…Arthur Godfrey was signed by CBS Radio to host a weekly nighttime show called "Talent Scouts." 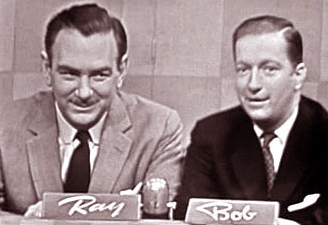 In 1951...Bob & Ray show premieres on NBC radio network. In 2012…Broadcasting executive Julian Goodman, president of NBC (1966-1974), died at age 90. In 2015…Veteran CBS Radio News correspondent David Jackson died of cancer at 70. Greater Media has officially unveiled the All New 105.1 The Bounce… Detroit’s Throwback Hip Hop and R&B. WMGC 105.1 FM The Bounce features throwback hip hop and R&B songs from the 90’s and 2000’s, including artists that span from 2Pac and Ice Cube to Drake and Rihanna. The station officially kicked off the new format today at noon by unveiling the first of 10,000 songs in a row. The new on-air line-up will be announced in the near future. “We’re thrilled that our great Detroit cluster is adding a new brand for our audience and our customers,” said Greater Media Senior Vice President of Program Development Buzz Knight. The Bounce will remain the flagship for the NBA’s Detroit Pistons for the 2016-17 season. 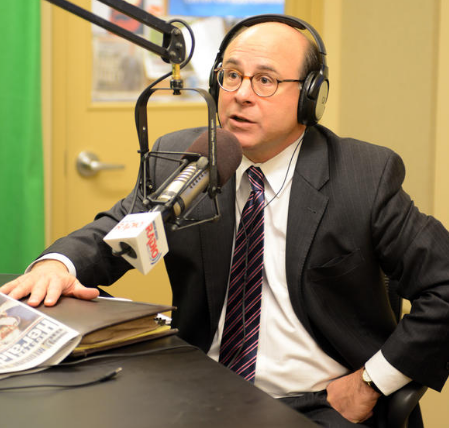 WMGC joined the sports-talk format in August 2013 and had originally set out on a five-year plan to build an audience and take some of the ad revenue from sports-talk leader, 97.1 The Ticket (WXYT-FM). But the plug was pulled after less than three years, amid no significant progress in the ratings. Employees at WMGC were told about the switch during a meeting at 6 p.m. Wednesday, when the flip was made. The Pistons have said they will remain on WMGC, though they can opt out of the final year of the guaranteed deal if they choose. 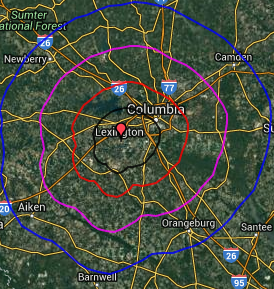 Cumulus Media announces that its Columbia, SC, radio station WOMG 98.5 FM launched today as “Columbia’s Classic Hits 98.5 WOMG”. The station kicked off its Classic Hits programming at 2PM EST today. Popular on-air personality Benji Norton will join 98.5 WOMG as host of the “Breakfast With Benji” morning show, airing from 6-9AM EST weekdays, beginning Monday, July 11, 2016. Norton has anchored the morning show on Cumulus Media’s sports station WNKT 107. FM5 The Game for the past nine years. Rupert Murdoch’s News Corporation has made an unexpected move into radio with the $292.7M acquisition of U.K. media giant Wireless Group, the owner of Premier League soccer broadcaster Talksport. Variety reports the all-cash deal, which marks the first time News Corp. has entered the broadcast arena since it split from 21st Century Fox in 2013, saw the company take a 70% premium on Wireless’ price when the London stock market closed Thursday. Wireless Group, which was known until last year as UTV, owns Virgin Radio and a host of local radio stations across the Britain and Ireland. It was founded originally by Kelvin MacKenzie, former editor and current columnist of News Corp.-owned tabloid The Sun, who sold it to UTV in 2005 for $130 million. News Corp was a 30% shareholder in Wireless, while John Malone’s Liberty Global held a 28% share when UTV acquired the company. News Corp. said the deal represents “an excellent strategic fit” for the company. The move gives Murdoch’s empire a major presence across all major media platforms. Talksport has the majority of Premier League radio rights in Britain, with the rest being held by the BBC. It also holds exclusive international rights for the league outside of Europe. Walt Disney Co. agreed to acquire a one-third stake in the video-streaming unit of MLB Advanced Media, in a deal that values the business at about $3.5 billion, according to Bloomberg. 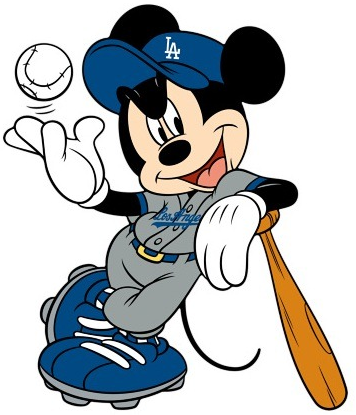 Disney, the owner of ESPN and ABC, will also obtain a four-year option to buy an additional 33 percent stake in the digital arm of Major League Baseball, said a source, who asked not to be identified because the information isn’t public. The deal underscores the importance of the video-streaming business to the future of ESPN, which has been losing viewers and advertising dollars to online media. ESPN has toyed with the idea of selling Web-only packages outside of the traditional cable-TV package, and Disney Chief Executive Officer Robert Iger is making deals to offer ESPN on Internet services such as Sling TV. The unit of MLB, which is jointly owned by the 30 baseball teams, is poised to grow as online viewership increases and more sports leagues and content owners like ESPN look to offer their programming directly to fans in an online format. It already handles video streaming for WatchESPN, where cable-TV subscribers can see live broadcasts and other content online. It also runs World Wrestling Entertainment Inc.’s WWE Network, a $9.99-a-month online service. “MLBAM has some great assets that could help ESPN build a robust over-the-top offering,” said Bernard Gershon, a media consultant based in New York. 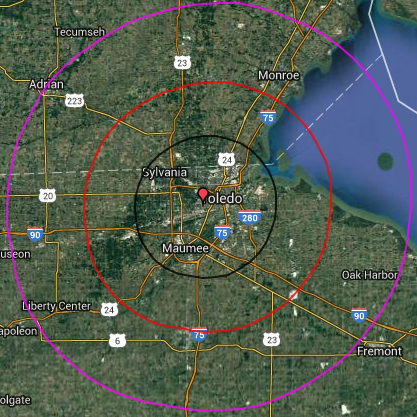 Cumulus Media announces that it has re-branded its Toledo Hot AC station WWWM 105.5 FM, formerly known as Channel 105.5, to Q105.5 using the calls WQQO-FM. 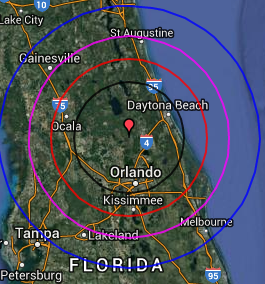 The station will continue to be programmed as a Hot AC station, and there are no personnel changes. Q105.5 continues to feature popular on-air personalities Denny Schaffer on Q105.5 Mornings, Tim Graves on Q105.5 Middays, Johny D on Q105.5 Afternoons, and Adam Bomb on Q105.5 Nights. It was announced today that the Tom Joyner Morning Show returns to Orlando’s hit station for today’s R&B and throwbacks, WCFB STAR 94.5 FM as of Monday, July 11th. The Tom Joyner Morning Show airs weekdays from 6:00am – 10:00am ET. Start 94.5 dropped Joyney in December 2015 in favor of the Steve Harvey Show. The 2016 Allstate Family Reunion with feature concerts from headliners including Jill Scott, The Bar-Kays, ConFunkShun, Chrisette Michele, El DeBarge, Erica Campbell and many more along with a daily expo that is open to the public with shopping, empowerment, and celebrities. The Tom Joyner Morning Show is distributed by REACH Media Inc, a part of the Radio One family. Democrats targeting content and control of the Internet, especially from conservative sources, are pushing hard to layer on new regulations and even censorship under the guise of promoting diversity while policing bullying, warn commissioners from the Federal Communications Commission and Federal Election Commission, according to The Washington Examiner. The Examiner reports Pai and Goodman cited political correctness campaigns by Democrats as a threat. Both also said their agencies are becoming politicized and the liberals are using their power to push regulations that impact business and conservative outlets and voices. 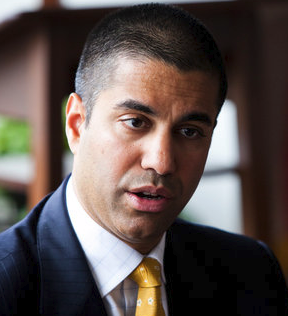 “One of the things that is critical for this country is to reassert the value of the First Amendment, the fact that robust discourse, that is sometimes cacophonous, is nonetheless a value, in fact it creates value,” said Pai. Pai added that at the FCC, “bipartisan consensus has unraveled over the last couple of years,” most notably the recent vote on net neutrality. Democrats are in control, 3-2. (Reuters) --A Massachusetts judge presiding over a case hinging on Sumner Redstone's mental condition on Thursday peppered attorneys on both sides of the dispute with questions about the 93-year-old media mogul's state of mind and how he communicates with people. Judge George Phelan decided, however, not to hear arguments about whether Redstone should be subject to a medical examination immediately, and did not rule on whether the case should continue in Massachusetts - or even if it should continue at all - leaving the legal tussle over Redstone's $40 billion media empire no closer to being resolved. "Obviously I have a lot of information to digest in just the motion to dismiss itself," Phelan said on Thursday after a hearing that lasted more than five hours. "It's going to take me a while to grasp all of that." The hearing was the latest episode in the legal wrangle over the fate of Redstone's controlling stake in Viacom Inc and CBS Corp, which has been playing out on both U.S. coasts over the past several months. The main issue before Phelan on Thursday was whether Redstone knew what he was doing when he removed Viacom Chief Executive Philippe Dauman and Viacom board member George Abrams from the seven-person trust that will control Redstone's holdings when he dies or is incapacitated. The trust, officially called the Sumner M. Redstone National Amusements Inc Trust, owns about 80 percent of Redstone's privately held movie theater company, National Amusements Inc, which in turn owns 80 percent of the voting rights in both Viacom and CBS. In an effort to shed light on the matter, Phelan asked attorneys at Thursday's hearing how Redstone communicated with his secretary, how his speech therapist understood what he was saying and whether she had expertise in doing so. “Since October 2015, how does information get to Sumner Redstone ... who is providing it?” Phelan asked attorneys for Sumner and Shari Redstone. He asked if intermediaries were involved, and how Redstone's directions are conveyed to outside people. Redstone's attorneys said the case should be moved as most of the witnesses, including all of Redstone's nurses, were in California. Phelan noted that their testimony could be taken through affidavits. Phelan at one point seemed to question the California's judge's decision in that case and asked to see all of the depositions from both Herzer and Shari Redstone that were taken into account during that trial. The result of the Massachusetts case also has implications for Viacom's board. Earlier this month, Redstone and National Amusements moved to oust five of Viacom's directors, including Dauman and lead independent director Frederic Salerno, asking a court in Delaware - the state where Viacom is incorporated - to rule that the changes were valid. That same day, Salerno fired back with is own lawsuit challenging the removal. Last week, Judge Andre Bouchard of the Court of Chancery of Delaware said he planned to hold a hearing in July to listen to arguments about whether the move was valid, but indicated he hoped that the Massachusetts court would decide on Redstone's competence. Marissa Mayer, Yahoo president and CEO, told investors at the company's annual shareholders' meeting Thursday that its management team and board are fully aligned with one clear priority — "delivering shareholder value to all of you" through strategic alternatives, business and capital allocations. "We have no announcements today, but continue to make great progress on our process," Mayer said, referring to a possible divestiture of its core businesses, including search. "On a personal note, I will say I've been very heartened by the level of interest in Yahoo. It validates our business processes as well as our achievements to date." 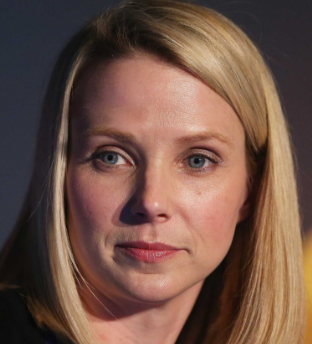 According to MediaPost, the first question from one investor involved the future of Yahoo and Yahoo shares. "Can you elaborate more on the sale of Yahoo or if there's a way to keep Yahoo?" he asked. "I'd rather have Yahoo shares, if that's possible." Mayer said that pursuing the separation of its equity assets from its operating business, the Internet business with products and services — search, mobile and others — will unlock "substantial value." Grace first informed CNN executive vp Ken Jautz, the same man who lured her to the fledgling network, then called CNN Headline News, back in 2005, of her decision in early June. While her ratings are nowhere near the staggering highs of years past — her afternoon broadcast following the reading of famed filicide suspect Anthony's not-guilty verdict on July 5, 2011, drew 4.57 million viewers — the lightning-rod legal crusader remains the most-watched and talked-about personality on HLN. A Montgomery County, MD judge on Thursday refused to extend a temporary protective order against radio personality Peter Deibler, better known as Kane on iHeartMedia's WIHT 99.5 FM ”The Kane Show", which is also syndicated in several markets. In court, Deibler and his wife, Natasha Deibler — who are enmeshed in a bitter divorce — offered wildly different versions of a May 25 incident that prompted her to seek the order and to file second-degree assault charges against him. According to The Washington Post, Natasha Deibler, 36, said that when she arrived to pick up the couple’s two children from his apartment that night, her husband threw her against a wall, but Peter Deibler, 39, contended that he used the door to move her back when she attempted to enter without his permission, and that she fell. 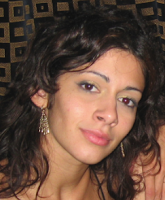 Circuit Court Judge Terrence McGann found that Natasha Deibler hadn’t met the burden of proof needed to keep in place the order, which barred the radio host from from contacting his wife or entering the Potomac home where she lives. In testimony on Thursday, each spouse accused the other of substance abuse and other erratic behavior. Peter Deibler said when his wife called to say she would be late picking up the girls, “She sounded slurred and not coherent,” he said. 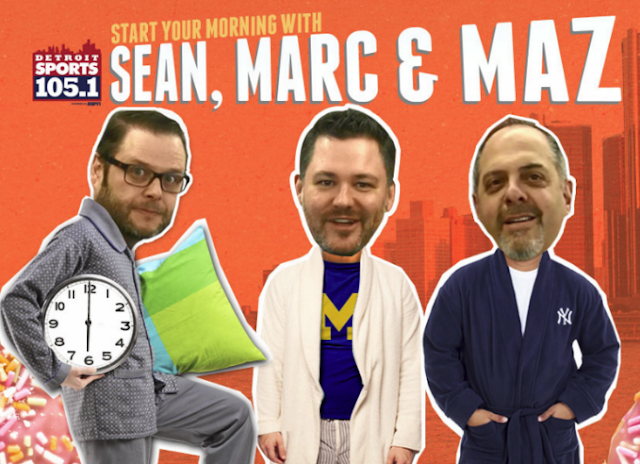 Tom Mazawey and Sean Baligian, two show hosts at Detroit Sports WMGC 105.1 FM, explained Thursday some of the mistakes and failures that led to the station discontinuing its sports-talk format Wednesday after a 34-month run. The Detroit Free-Press reports questionable programming decisions, failing to provide a Detroit-centric morning show and the handling of the station’s key personality, Drew Lane, were among the key problems. But the biggest nail in the coffin came last fall, according to Mazawey. That’s when WMGC, owned by Greater Media, lost a bid for the Detroit Tigers' radio broadcast rights to The Ticket WXYT 97.1 FM. Mazawey said it wasn’t a fair negotiation after two Tigers executives broke a promise to make it a sealed-bid offer and tipped off The Ticket executives about the offer from Greater Media and WMGC, although a source close to the negotiations on the team's side told the Free Press late Thursday that there was never a sealed-bid offer as part of the process but declined further comment. In February, Baligian began hosting the 6 a.m. to 10 a.m. show with Mazawey and Marc Fellhauer. But for the first 30 months of its existence, WMGC, an ESPN affiliate, carried ESPN’s syndicated show “Mike and Mike.” Baligian said that didn’t cut it in a town crazy about its Detroit teams. 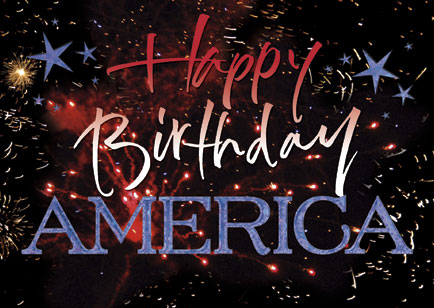 “My goodness, when you think about it, for the 34 months that the station existed, 30 of those months had a national show, quite frankly, a New York-based show. I just don’t think that’s a good business model at all. I think by the time they learned that, I guess in retrospect, it was probably too late. Another problem was trying to make Drew Lane, a longtime Detroit radio personality known for his general banter, take a more sports-centric tack. Lane’s contract was not renewed in October. “Drew Lane was our linchpin,” Mazawey said. “We built the station around him, and then they go and tell him, ‘Well, you know what? 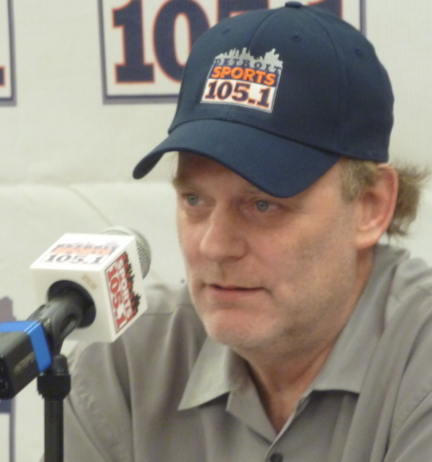 We want you to change your show after 30 years in the business,’ or whatever he’s been at it. 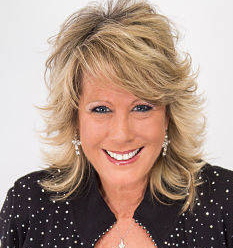 CBS Radio's WYCD 99.5 FM announced that award winning personality Linda Lee celebrates her 20th year on WYCD Thursday, making her the longest consecutive female country music air personality in Detroit history. Lee began her career at WYCD as a member of the morning show, and then later teamed up with co-host Chuck Edwards for the long running “Edwards & Lee” afternoon drive show. The pair were together on WYCD for 16 years, gathering many accolades along the way including the 2010 & 2015 Michigan Association of Broadcasters (MAB) “Personality of the Year”, the 2014 Gracie Award for “Outstanding Morning/Afternoon Personality” and 2011 CMA for “Personalities of the Year”. When Edwards moved to mornings in late 2015, Lee teamed with Rob Stone for the “Rob & Linda” show, which can currently be heard from 3:00 pm to 7:00 pm over-the-air, online at www.wycd.com or via the Radio.com app for mobile devices. 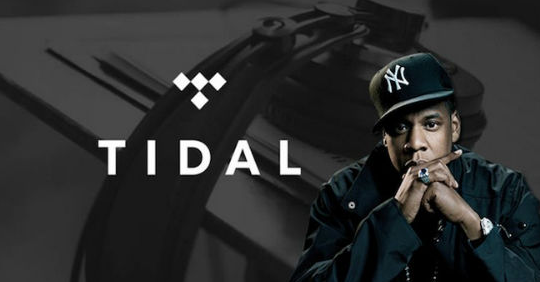 Apple Inc. is in talks to acquire Tidal, a streaming-music service run by rap mogul Jay Z, according to people familiar with the matter. The Wall Street Journal is reporting Apple is exploring the idea of bringing on Tidal to bolster its Apple Music service because of Tidal’s strong ties to popular artists such as Kanye West and Madonna. Jay Z bought the service in March 2015 for $56 million from Swedish company Aspiro, which had created the brand Tidal. He has given 19 famous artists and bands small stakes in Tidal and promised each millions of dollars worth of marketing, according to people familiar with the matter. Tidal charges $20 a month for a high-fidelity version of its 40 million-song catalog or $10 a month for standard-quality sound. Tidal said it has 4.2 million paying subscribers, most of whom it amassed this year with a string of exclusive releases from stars including Mr. West, Rihanna and Beyoncé. Tidal is also the only service offering the catalog of the late pop star Prince, who was wary of other streaming services but had a close relationship with Jay Z. Prince died in April at the age of 57 of an overdose. But the company has experienced management turmoil, churning through three chief executives, one of them interim and one appointed by prior management, in less than a year. Jeff Toig, former chief business officer of SoundCloud, a Berlin-based audio-sharing service, has been CEO since January. Though it hasn’t generated significant revenue for the industry given its relatively low subscriber numbers, Tidal has an artist-friendly reputation, thanks to its artist ownership, high-quality sound and the fact that it only offers paid subscriptions, which generate far more for the industry than ad-supported services. The Justice Department dealt a blow to the music industry this week when it declined to change the longstanding regulatory agreements that govern ASCAP and BMI, two of the industry’s oldest and largest clearinghouses for royalties, according to The NY Times. The two agencies have argued that modifying their consent decrees, which have been in place since 1941 and have not been updated in more than a decade, was urgently needed to adapt to the new world of online music, and the agencies’ petitions followed several years of conflict and litigation with Pandora Media over royalty rates. Music publishers have warned that the streaming era has led to a precipitous decline in songwriters’ income, with the consent decrees partly to blame. Although the Justice Department’s recommendation carries great weight, any alterations to the consent decrees must be approved by two federal judges overseeing the cases, and the performing rights organizations could object to the changes in court. 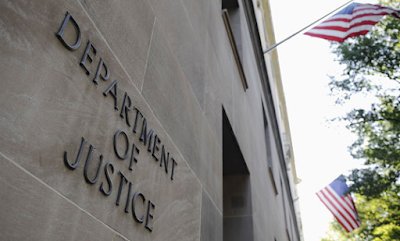 After a two-year review, the Justice Department this week denied a series of requests by ASCAP and BMI, including the ability for publishers to have more control over licensing their music to digital services. And in a move that has caused widespread worry throughout the music publishing world — the side of the business that deals with the lucrative copyrights for songwriting — the government has also said that, according to its interpretation of the consent decrees, the music agencies must change a major aspect of how they license music. The agencies must now adopt a policy known as “100 percent licensing,” which means that any party who controls part of a composition can issue a license for the whole thing. In the case of major pop hits, which tend to have many songwriters, there can sometimes be a dozen or more parties involved. Democrats on the Federal Election Commission voted in secret to punish Fox News' sponsorship of a Republican presidential debate, using an obscure law to charge the network with helping those on stage. It is the first time in history that members of the FEC voted to punish a media outlet's debate sponsorship, and it follows several years of Democratic threats against conservative media and websites like the Drudge Report. A Republican FEC commissioner leading that fight, Lee E. Goodman, revealed the vote to the Washington Examiner Wednesday. Goodman has led the fight against several other efforts to censor conservative media by Democrats on the FEC. "The government should not punish any newsroom's editorial decision on how best to provide the public information about candidates for office," he said. "All press organizations should be concerned when the government asserts regulatory authority to punish and censor news coverage." At issue was the Aug. 6, 2015 Fox presidential debate. Initially, the network planned to host one debate featuring 10 candidates. But as the date got close and the nearly two dozen GOP presidential candidates were close in the polls, Fox added a second debate that included seven other candidates. 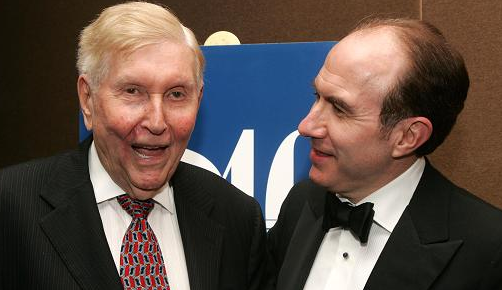 Redstone: Viacom CEO Attempts "Futile"
R.I.P. : Former Station Owner Louis Appell Jr.